Lucky Last is a good RTG slot to play at times. 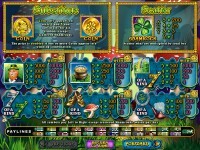 It features 25 paylines, stacked wilds on reels 1 and 5, and a free spins feature. The free spisn feature is triggered by getting at least one wild on the first reel (gold coin labelled “Lucky), and another wild on the 5th reel (gold coin labelled “Last”). 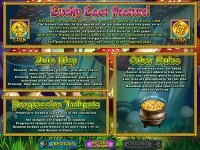 You are awarded 7 free spins, and sometimes a good 5 of a kind hit on the triggering spin due to the wilds on reels 1 and 5. 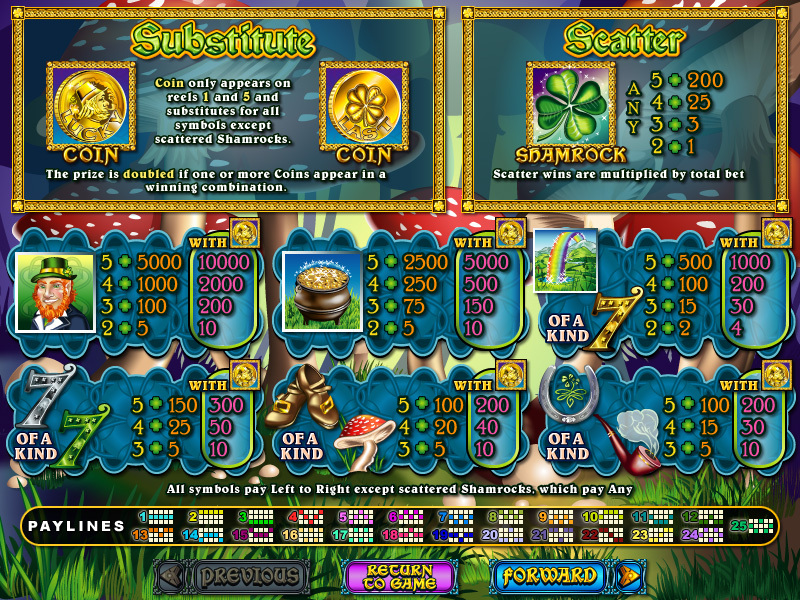 On the last spin the 5th reel is all wild, so retriggering the free spins is much easier as you only have to hit a wild on the first reel. Free spins can only be re-triggered on the last spin. 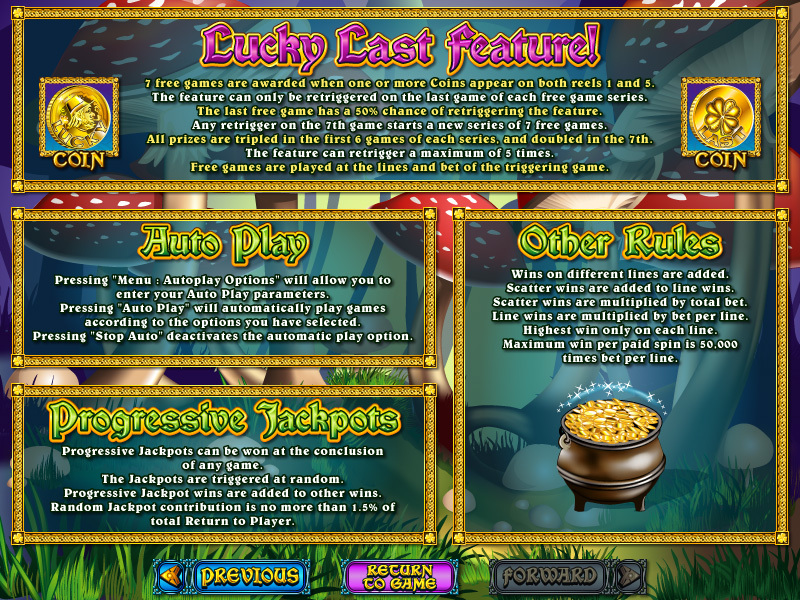 The first time I played this slot, I was only betting 50 cents trying to get a feel for the game, and I hit free spins right away (within my first 5 spins). It retriggered several times (not sure how many times, it went on for quite a while) and gave me a very good win for the bet size. Since then it hasn’t been hitting free spins very often and I’ve only seen it retrigger 3 or 4 times in one round. 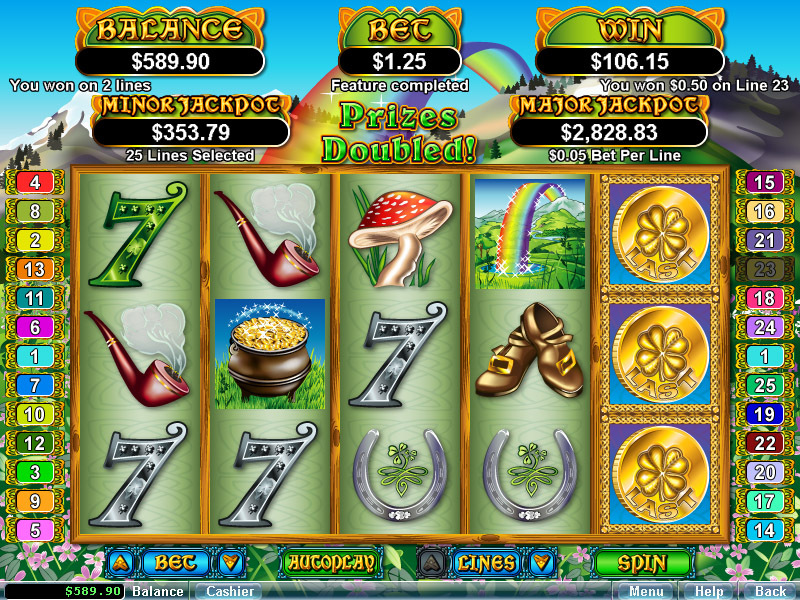 I guess my ‘lucky’ didn’t ‘last’ very long on this slot, though the screenshot below is quite recent so it hasn’t really been all that bad to me, just beginners luck when I first played I guess. 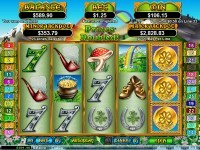 Play Lucky Last at any of these great great RTG Casinos!